Moon Princess Slot - Play for a Huge x100 multiplier! Moon Princess slot is another fantastic cascading slot from Play ’n GO. This slot game draws its inspiration from Sailor Moon, a popular 1990s anime title and does an impressive job of paying tribute to the cartoon’s group of girl Moon soldiers. In place of Mars, Mercury and Sailor Moon, this slot has Love, Star and Storm, each with a unique power. Looking to win cash by harnessing the lunar loveliness and girl power of these powerful princesses? Let’s get started with this unique cascading slot! As the main game loads, you know you are in for a girl power adventure, from the fairy princess anime style and feel to the abundance of hearts, stars and angel wings. The basic aim in Moon Princess involves connecting three or more matching symbols in a row vertically or horizontally within a 5×5 grid. The game uses a unique cascading symbol game style instead of the conventional slot reels. Love Princess: Love selects one set of symbols and changes it to a different symbol. As a result, you have a higher probability of landing a winning combination of the new symbol. Star Princess: She randomly adds wilds to the reels by converting one or two normal symbols into wilds, also giving you more winning opportunities. Storm Princess: When Storm’s power is activated, she randomly chooses two sets of symbols and removes them from the grid, and the cascade effect kicks in to give you more winning possibilities. The moon is the wild symbol in Moon Princess and it is the highest paying symbol. Not only does the moon substitute for other symbols, but you stand to win 50 times your stake if you line up five moon symbols on a payline. The other top paying symbols are the princesses. In addition, each of the girls has a symbol which, when lined up on a payline, offers premium winnings. There are also various other lower-paying symbols. An intriguing part of Moon Princess is the Princess Trinity meter, located on the left of the main grid, which is charged each time you match three or more symbols of the same kind within a round. If you do not fill the meter in a single round, it resets. When fully charged, you are rewarded with the Trinity re-spin bonus, where Love, Star and Storm take turns performing their respective powers to help you amass big wins. Take note that fewer spins are riskier but they have higher winning potential. 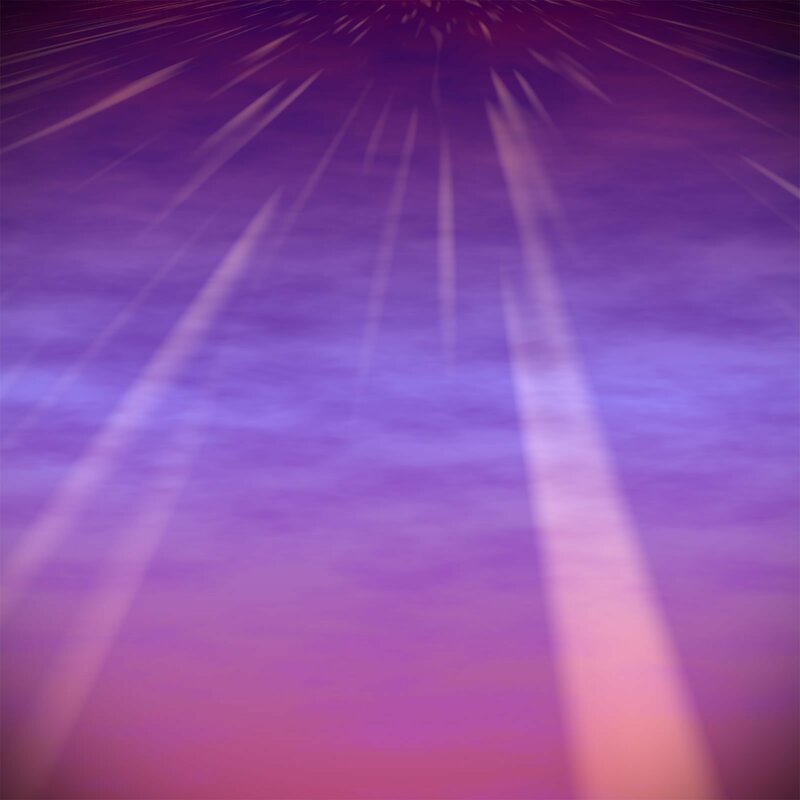 The chosen girl remains active throughout the free spins and triggers on every non-winning spin. The multiplier does not get reset between spins and keeps growing up to X20. In addition, each time the Trinity Meter charges up during the free spins round, you get rewarded with additional free spins, plus if you clear the grid when playing in the free spins mode, you are rewarded with a huge x100 multiplier! 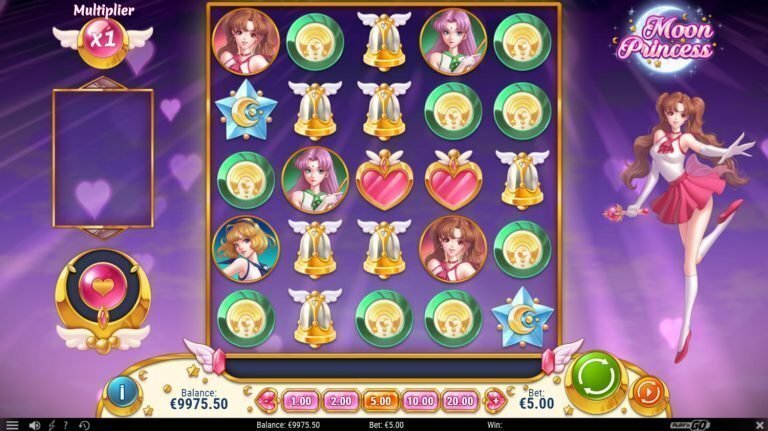 Although Moon Princess does not feature a jackpot in the conventional sense, you still have the potential to make some big wins when you activate the various features. Especially, during the free spins round. Moon Princess has 20 paylines that span across 5 reels; it is in essence a 5×5 grid. You cannot change the number of active paylines but you can set the overall stake. Moon Princess offers a return to player (RTP) of 96.5% which is more than generous enough to earn you some great winnings. The high volatility of the Moon Princess slot means you won’t see wins on every spin but when you do, you are in for an exciting gambling experience with potentially big rewards. All in all, Moon Princess is an intriguing slots game. It is surprisingly fast-paced; the large grid definitely catches one’s attention and the visual effects used when the princesses unleash their powers are stunning. With a constantly changing and flashing grid, it appears to offer many ways to win. Additionally, since you have a bonus that gives you different choices, you will feel like you have a lot more control over the outcome.